Parades at Disneyland are some of my favorite experiences in the park. I absolutely adore them and think they’ve fun for all ages. I encourage you to work at least one into your schedule for the day. Let’s discuss your parade strategy, what to bring, what to do while you’re waiting and what you can expect from each parade. First, check this link to see which parade is running during your visit, how many times it’s running per day and what the times are. Disneyland parades are more popular than ever. Grabbing a spot can sometimes be stressful. 1. See the parade from the location I recommend. Less crowds and more space. 2. For nighttime parades, watch the second parade if there is one available. I know it’s late, but if you take your long afternoon nap, hopefully kids will still be awake. 1/4 of the people are there for the later parade. 3. Set up in time for the parade with all the people who get there early and then rotate someone watching your blanket. My husband often takes the kids on a few rides while I stay at the blanket. He does the same when I take the kids to find food. I actually LOVE the chore of watching the blanket. It’s quiet and I have a moment to myself! 4. If they’re offered, consider a dining package that will give you a reserved viewing spot for the parade. If Disneyland is running one parade, it will start at “it’s a small world” and end at the front of the park in Town Square. If Disneyland is running two parades in one day, the first will start at “it’s a small world” and end at Town Square. The second will start at Town Square and end at “it’s a small world”. To prevent guests from camping out HOURS prior to parade time, Disneyland cast members are now clearing paths and preventing set up until 2 hours prior. At the 2 hour mark (or right around then), ropes will go up to start the official parade prep. At that point, guests may then secure their spots. Blankets are still allowed to save your space, however, they cannot be left unattended. My favorite location for parade viewing is by “it’s a small world”. This area is typically the least crowded and has restrooms and snacks super close. Also nearby? Toontown. While one adult saves a spot for everyone on the blanket, have the other wander through Toontown with kids to keep them busy. Arrive 30 minutes early for a good spot. Arrive an hour early for front row. I always recommend one adult sit on the blanket to reserve the spot (you cannot leave it unattended) and one adult takes kids on a nearby attraction. Depending on where you choose to sit (more on that later), you’ll have plenty of options. 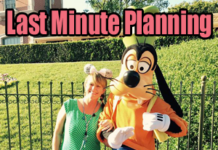 Know your timing before the attraction goers take off and be sure they return on time. And, make sure everyone uses the restroom before they return to the blanket. Breathe. If you’re lucky enough to sit on the blanket solo, take a break. Enjoy the lack of fussing from your own kids. Ignore those from the children around you. This fun parade is one my favorites, so it’s return makes me very happy! I love this parade because it is high energy and has something for everyone. And, the Mary Poppins float at the end is so dreamy. Visit this link from Disney for more info on this parade. Click on the calendar provided to see if/when this parade is running during your visit. A million dazzling lights make this parade unforgettable. Long time Disneyland fans will recall the Electric Light Parade from their youth. This is an updated version with awesome effects and impressive costumes. Visit this post for everything you need to know about Paint the Night. This parade is high energy and a little less stressful to see compared to Paint the Night. This parade includes many popular Pixar characters including those from Monsters University, Toy Story, and more. Visit this post for everything you need to know about Pixar Play Parade. If you arrive early enough, you’ll be able to sit on the ground during the parade and be comfortable. If you’re later, you’ll stand closer to the back of the crowd. Try to arrive early. If you are standing, remember that there will likely be people behind you. Holding kids on shoulders might prevent others from watching the fun. Be considerate. Encourage your little ones to be interactive and get excited when they see characters. Princesses are big on eye contact and if your little one calls the princess’s name, she’ll likely get a wave. This is VERY exciting for little ones. If your child has a doll or toy that matches a character, have your child hold that up as the character cruises by. He or she will often notice and send your child a wave. Not all kids love the characters. My grumpy kid, Jack, once nearly kicked Stitch for coming too close and trying to cheer him up. These larger-than-life characters might frighten children. Be considerate of that and don’t insist on children interacting. Some prefer to just sit back and watch. When the parade is over, you can follow it along – behind the final rope ending the parade. One of my best Disney memories happened in 2003 when my then 2 year old was sure he was IN THE PARADE, behind the rope, blowing kisses at the guests. People often ask if there is seating available at restaurants that works with watching parades. (Specifically, at Plaza Inn, Jolly Holiday or Carnation Cafe.) While you may get a glimpse of some of the parade I don’t recommend setting up at any of these locations to see a parade at Disneyland. All three have guest walkways and parade watching areas that will block your view of pretty much anything 6 feet tall or shorter. You’ll miss the performers and dancers and smaller floats if you try to watch from one of these locations. The same applies for California Adventure. There are no restaurants that provide a good view for the parade route. Plus, many people think this strategy works, so the seats are scoped out hours before at the locations mentioned above. If you want to see the parade, use that time more wisely and go to one of the spots I listed previously in this post. Or, even better, buy a dining package! Watch the following videos if you have little ones who might be overwhelmed with the parades. They’re loud and exciting and it’s a lot of sensory overload for some children. Preparation could make all the difference in your experience. Check out my post on sensory issues, too, if you have a person in your group with such challenges. The following are videos for these parades. Thank you so much for this detailed post! We’re going to Disney in May, 2019 and would like to know where Mickey’s Soundsational Parade (there is only 1 at 6:00PM) will start from? Will it start from Its a Small World or Main Street? Can you pls. give us a specific spot by Its a Small World to sit at? Thank you so much! your time and attention is much appreciated! Sit facing the attraction and you’ll have a great view! Your information and tips are also so helpful in planning our trips! Thank you! We enjoyed the Plaza Inn parade dining package last year for Pixar Play. I am interested in doing this again this May for Soundsational. I’ve noticed, though, that the special viewing area is only available for the 2nd parade of the day, which will be at 6:00. Trying to decide if that is too late for our youngest. It looks like the 2nd parade starts from Town Square? Any estimate on what time would be “out of the park” and walking to The Grand Californian? Don’t want to overdue it on our first day, but not sure when else to work this in. 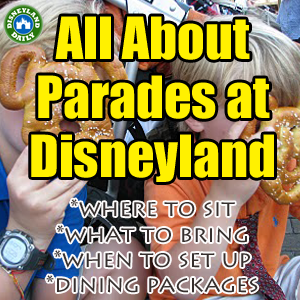 Obviously, we don’t have to do the parade with the dining package, but it sure did make things really easy! You should be able to exit by 7:00pm. Go for it! I’ve been following your blog for a long time and love it. We are going to finally get to Disney at the beginning of February. Do you know for there will be any parades than? If love to take the kids to one but can’t find any info on anything past the holidays. Thanks. Soundsational is returning! I keep this page updated with info like this. More coming as soon as they release details. It’s hard to tell for sure at this point. Keep checking the Entertainment schedule, as Disney often adds entertainment later than other info. I’ll share on this post as we learn more. Fingers crossed for you! Our trip is next week! Are there not any parades going on in March? ? I didn’t read through all of the comments so my apologies if this has been covered. We will be in DL late march and I can’t find a single parade. Is this right? Schedule isn’t out yet for my dates. What time does soundsational parade usually go? Is your preferred seating listed here good for that as well as it’s a small world? Do they have dinner packages for this parade? Soundsational is a daytime parade, but I wouldn’t expect it to return quite yet. In April, Paint the Night will be at DCA and Pixar Play Parade will be at Disneyland. 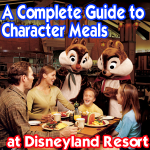 I’ll share info on it all – with any dining packages available – as soon as Disney shares the info. We are visiting Disneyland in mid-October 2018 and want to know which night parades are included. 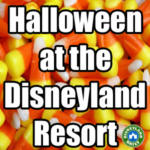 We are not purchasing tickets for the Halloween Party so will we still be able to see a night parade before park closure? If so, which one? Hi do you the typically hour for the World of Colour and the Fireworks? Adjust the calendar on the right as needed. Fireworks are usually at 9:30p and WOC is usually at 9pm and 10:15pm. But, I encourage all park guests to check the schedule prior to arriving. Hello Casey, I am taking a trip to Disneyland on the 20th of November and heard that the “Paint the Night” parade may return for the holidays, I was wondering if you knew for sure if this information was true or not? Also if the the ‘Paint the Night” parade isn’t there do you think I should try and see the Christmas Fantasy parade/ what are you thoughts on it? Paint the Night is not returning. 🙁 Not until after the new year. Are fire works on every night at disneyland? 13-21 November or 27 November – 5 December. I’ll update that post as Disney releases info. If you have to pick watching the Electrical Lights Parade or Fantasmic, which would you select (us East Coasters will never stay awake for the later show)? We’ve seen both at WDW, but would love your opinion. Also, is there time to get to main street to watch Tinkerbell and fireworks after Fantasmic? I would choose Fantasmic!, as it’s a better show at Disneyland since it’s in a natural setting instead of in a staged environment like at WDW. I just saw Fantasmic! at WDW and was totally underwhelmed compared to what I have enjoyed at Disneyland. MSEP felt magical at both parks. Our family is going to have a one day visit at Disneyland next month. We plan to watch the firework and the light parade after it (10:45 one, to avoid crowd). Do you know if we can leave in the middle of the day and come back at night, using the same day pass? Or do we have to purchase another ticket for reentry? Also, what time do you recommend us to come back for the firework? You can definitely re-enter the park after leaving. No problem at all! Just keep your park tickets handy. Fireworks are typically around 9:30. The earlier parade will start at 8:45pm. So, if you’re watching the fireworks from Main Street, be back around 9pm. The first parade will be passing at that time. Then, you can fill in the space on Main Street and set up for the fireworks show. Enjoy! Hi Casey – This may be a silly question, but we’re headed to Disney next week. I see the MSEP is on the calendar M-W for 8:30 and 10:15 PM, but it says the park closes at 10PM. Do you think this is a glitch on their calendar? Or is it like World of Color where it is the only thing happening after DCA closes and then the park is closed after the show? Just like WOC, where the parade starts after close. Enjoy it! Typically much less crowded. I am trying to figure out time some dinner reservations for after a parade. About how long are the parades? Would dinner reservations an hour after the parade begins be enough time to make it without missing any of the parade? Thank you so much!!! The parades themselves are about 20 minutes long. And, depending on where you sit, the parade could take 20 minutes to reach you. Meaning, the first parade starts at it’s a small world. If you set up there, it starts immediately at parade time, but it can take 20 minutes to reach the front of the park. I wouldn’t make a reservation an hour away. Give yourself a couple of hours. Enjoy! Can you put a blanket down for World of Color? You can. Same rules apply. Just can’t leave it unattended. Thank you! You are such a huge help! We will be in DL next week and the last week in February and it seems like there will be no parades, which is such a disappointment. I see there is the Fantastic Floats and A Symphony of Disney Characters, but are these parades and when do they occur? Have you heard anything about the soundsational parade’s return? Disney states “early 2017” and another site says Feb 1. I thought I’d see if you heard anything. Nothing yet. Waiting on Disney to announce. I will as soon as I hear! Just to clarify, Small World is a good spot to see all parades and fireworks? Thanks for all the great suggestions, but I have a question about my stroller. I’m going by myself with my toddler in her stroller…. will I be able to park it near where I’m sitting to watch the parade? Can I use that to “reserve”our spots? Can my daughter stay in her stroller to watch the parade? You can take your stroller with you to where you set up for the parade. And, your child can stay in it for the parade. We used ours for years as “seating” for little ones during parades. You can use the stroller to help reserve space, but you can’t leave it unattended. If we do Suggestion #2 near the rope at the hub, are we allowed to stay in that same spot to watch the fireworks (preferably by partner statue) or will we be asked to move by the CM’s? TIA. You will be allowed to stay in the same spot. No reason I can think of that they would make you move. You’re good! What are they replacing it with? Will they continue the dining packages with whatever replaces it? Do they still do the Inside Out pre parade? Hi Jen, we’re going to take my son and his special request is to see the projections fireworks and the light parade. our schedule will be on Aug. 21 and 22. we will be travel from sacramento and we are trying to look their schedule but we could’nt. I see that the Paint the Night Parade is on at 8:45pm and 10:45pm on the 21st. Disneyland Forever Fireworks start at 9:30pm. 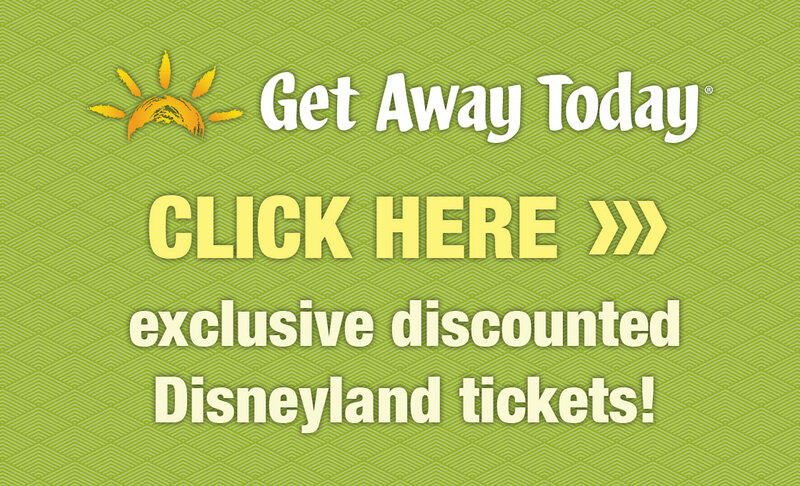 Hi Casey – my family and I will be at Disneyland Sept 7-9. It looks like park will be closing at 8pm. Do they still do any of the night parades or fireworks when they close so early? We’re not sure what nighttime entertainment looks like past September 5 at this point. Hoping Disney releases info soon. I’ll post immediately at Facebook.com/DLRPrepSchool. Feel free to ask again as we get closer to your trip. Not sure yet, Joshua. Waiting on Disney to share future plans with us. As of today, it’s only on the schedule until September 5. Not sure if anyone has stated this or not.. But we just came back from watching the night parade and fireworks. We tried to follow your advice and watched from the town square. After the parade we tried to move up Main Street as suggested, but in doing so, we were on the sidewalk and not the street. Big mistake. The ushers wouldn’t let back on the street and wouldn’t let us stop walking. The fireworks started and we were forced to keep walking around the park. We were able to see bits and pieces, but every time we stopped to try to watch an usher immediately told us to keep walking. We were not allowed to move intothe roped off area either. Very frustrating. So my advice is to add to your instructions to move up Main Street but STAY ON THE STREET and not on the sidewalk. Thanks, Jennifer. I’ve never not been able to move under the ropes to the street. Weird. I’ll make a note of that in this post. No problem… We still got to see bits and pieces… I just hopes it helps others – your site was a huge help for everything else we did. Hi, Casey! Thanks so much for all the great info! My family and I have been to WDW once and are going for a super quick trip to Disneyland next month. I thought we’d see the fireworks then the later parade. Can you give me your thoughts on the best way to do this/best location/etc.? Also, are many of the attractions still open during the earlier evening parade? Okay, you can ignore the first part of my question as I see you answered it for someone else above. So, can you just tell me if attraction still run during the earlier evening parade? Thanks! Just got this after I answered the other. 🙂 Sorry! Attractions are running. Most are, but some pause for fireworks. Monorail and trains, specifically, pause. But the RR is currently on hiatus for Star Wars Land construction, anyway. We are going to Disney next Tuesday, May 24th. Question about the Small World location for the parade/fireworks. How long before the 8:45 parade do you think we would need to get to this location to get a nice spot? Also, can you see Tinkerbell fly and the Matterhorn special effects from here? How much do you miss by not viewing from Hub or Main Street? Thanks! This is the tricky part. Most people watch the first parade and stay for fireworks. So the spots will be filled from the first parade crowd. Your best bet is to stand on Main Street about 1/2 way down. The fireworks will go off above the castle and you’ll be able to see those from just about anywhere. And the projections will be shown on the buildings on Main Street. It will also snow on Main Street after the end is the fireworks! Once the show is over there, grab a spot for the later parade. We just went to Disneyland yesterday, Friday April 22. We were about to use our blanket during the daytime Mickey’s Soundsational Parade but at night on main street for the Paint the Night Parade they only allowed people sitting on the curb to seat on the blanket and made everyone behind move the blanket and stand. We were on Main Street. So sadly we were super unlucky or they changed the rules. I have never seen that happen, Jen. So sorry. First off, thank you for all the helpful tips on your site – it’s helped tremendously with planning our trip. We will be in the park next Wed, Thur, & Fri.. Wed afternoon we’ll be spending in DL ending the day in Adventure Land. What would be the best way to exit the park about 7:30 – 8:00 PM with the Paint the Night parade starting at 8:15 ? 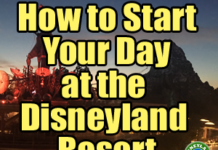 I would start at 7:30pm and make your way through Adventureland and stay to the right toward Jolly Holiday Bakery. You’ll be able to walk down Main Street and out before the crowds get too thick for the parade. Enjoy! We are going Tuesday, May 10-Thursday, May 12. There will only be one parade. I thought we may do the Aladdin on the go reservation. How is the best way to get from the viewing area to the castle after the parade for the fireworks? Or should we try for a Main Street parade spot due to it being the middle of the week? Any guidance is greatly appreciated! My head is spinning!! 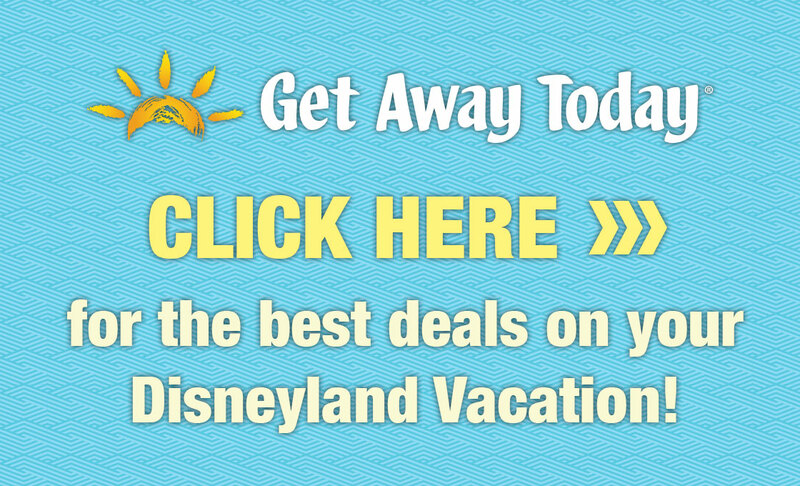 We are planning a trip to Disneyland during June 7-9 this summer. Your website has helped us so much! We are from Omaha NE with two little girls (8 and 4 yrs) so going to Disney is rare and a BIG deal. What dinning packages are with it? We for sure want to have lunch at Ariels grotto for some necessary princess time. I am debating the Aladdins to go package for the paint the night parade. Is it worth it? I see you recommend just going to the latest showing. But seeing how my girls will be used to central time (so an 11p parade is a 1a for us) I am conflicted. Without a dining reservation package, I would start looking a couple hours before the parade. Then, grab a spot depending how things are filling up. I highly recommend Aladdin’s if your budget allows. Takes a lot of stress out of your day and it’s pretty affordable. Our trip is early August. We plan to do the Aladdin dining to hopefully alleviate having to stake out a spot for so long. Will that help? 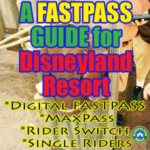 Planned to do the fast pass for World of Color. Absolutely! Arrive an hour early. I tried to make reservations for Aladdins Oasis and a view but was told Aladdins was not participating. We will be at DL June 9th. I just wanted to let you know that last Tuesday 2/16 when we set up to watch Soundsational by Small World, I figured I had plenty of time to take the kids on the ride (it was about 3:45pm) then sit down and wait for the parade to come to us given the 20 minute delay. My husband camped out across the street from your favorite spot and he waited. When the kids and I emerged from Small World at 4:15pm, the parade had started but was actually heading south from Small World to Town Square. With it underway and us 5 rows back, we couldn’t get to my husband on the primo blanket spot and my 6yo daughter had an epic Disneyland meltdown, saying,”You ruined everything! !” Seriously. In that moment, I also lost my FitBit and my daughter spontaneously had a bloody nose, all the while I was trying to also keep track of my 3yo son in a parade crowd. It was the craziest moment we had on our whole vacation. Needless to say, I was surprised that the parade started up by Small World. But the next day we camped out on Main Street and the parade followed it’s normal route from Town Square to Small World so I don’t know what that deviation was about. Have you ever seen it change direction like that? Nevertheless, your advice about having a Matador blanket and staking out a spot was GREAT! Thank you so much for this and all the other valuable information you provide to Disney vacationers. Preparation was key to our amazing 1st visit with our kids. Hi there! First I have to say that we love your site and relied heavily on it to plan for our great trip. You are truly a wealth of information! We were just in Disneyland yesterday and had the same experience as the writer above (minus the bloody nose). We thought we had plenty of time so we took our squirrelly kids to Its a Small World. When we emerged at 4:22, the parade was 2/3 by and we couldn’t get to the spot my husband was holding. Just a heads up to other who may be visiting right now! Thanks again for all of you advice. This is great info. Thank you. Next visit we reserved the Blue Bayou Paint the Night package because I want to see how it is. After that, based on your suggestions, I think I will do the parade at It’s a Small World, and then follow the parade to the front of the castle and stop there for the fireworks. Going Feb 17-19 2016. Plan was to see the Paint the Night Parade with the Blue Bayou Dinner which admits you to a special viewing area (separate from the Blue Bayou) and then the fireworks. Will our special viewing area for Paint the Night be a good area to watch the fireworks? Yes. I just did this last week and posted details on Facebook. Will update this post asap. 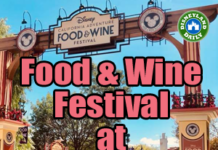 You will be in a reserved section near Carnation Cafe on Main Street. Walk out into Main after the parade to watch fireworks. Good to know since we are also doing this. But for times when I want to save the money, I’m thinking Small World/walk to better area will work nicely. Hi Casey! Thanks for all your great info. I’m wondering your thoughts on the Aladdin Oasis on-the-go dining in order to get preferred seating for Paint the Night. Worth it? I’m doing this on Thursday of this week. I’ll be posting on Facebook asap with details! I do think it’s worth it. Did the Blue Bayou version last week and it was fun. I did this and it was fantastic. BUT we did not stay for fireworks, as my child was too tuckered out and my husband was in crowd-defense mode. I’m confused . . . we’re planning to do the Paint the Night Parade on Tuesday 1/19 (there’s only one time – 7 PM) and I can’t tell where we should setup. Sorry – I’ve read and re-read and I still can’t figure out where the best spot is for up close to the parade route and for fireworks afterward. Thanks! Hey, Jess. Use the usual parade suggestions for the parade itself. If you are incorporating the dining package into it (which will be offered starting January 11, 2016, I’ll have more info on that after I experience it the first night – on the 11st. My favorite parade set up is just off of Main Street across from the Main Street Photo Supply Store. That way, you can see firework projections on Main and hopefully the Matterhorn, too, from that spot. Enjoy! Do you know if paint the night parade is going to continue after the diamond celebration ends in September? I’m guessing it will, but I have not heard a definite plan for that yet. Hope so! Hi there! I’m going in March (Sadly easter weekend). I’m disabled, so sitting on the ground is a no-go for me. I was hoping to watch both the fireworks and paint the night. Is there a good place to see both, but be able to sit (not on the ground?) i know Main street has benches, but if i don’t grab one I don’t want to be stranded. I can’t stand for long, and haven’t decided if I’m renting a chair or not. I’m going with a friend who has never been to DLR so I want to make it special for both of us. Hi, Samantha! There is a disability section for the parade. Ask a cast member prior to the show if they have availability for you to sit there. I’ve done this with my sister and it helped her quite a bit. Hi, we will be traveling to WDL in February. How much in advance to the schedules get posted? Which days of the week are best to visit the parks. Hi! My wife and I will be in Disneyland 11/4-11/7, with two friends (who have never been to DLR!). I am hoping for lower (?) crowds those days and nights, and want our friends to have great 1st time experiences. I am thinking we get a mainstreet curb side for the 1st parade, then step into the street around Carnation Cafe and stand there waiting for fireworks. Hi, David. I like your plan! You’ll get to see the parade in a great spot and then the fireworks will be lovely with the projections that play out on Main Street. I think you and your friends will have a great experience. Please let me know if you have any other questions as your trip approaches. Happy to help! Can you recommend a good spot for our family of 5 to view PTN and also fireworks, without it being exceptionally loud? I will show the girls the video clips ahead of time to prepare them, but we have a 6 month old baby and a noise sensitive 4 year old. It looks like the schedule is unavailable now for your days. Hopefully those shows will be running during your visit. Soundsational is not due to drop off the schedule until Holidays at Disneyland starts on November 13. The best spot to avoid the loud parts of the parade is near the Fire Station on Main Street. You won’t be front row, but if you stand back far enough, you’ll be able to see the floats and most of what goes on. Then, walk out to the middle of Main after the parade for the fireworks. Recommendations for 2 adults that want to see as much of the effects and fireworks as possible. Where to sit to see it all. VIP? without a tour? Thanks in advance. Also, I love all your ideas and read everything, such great information. A VIP tour would be amazing, but pricey. My favorite place to watch it all is in front of the castle, of course. The effects are fantastic. it’s a small world has the easiest accommodations. You really can’t go wrong with any of your options. Enjoy! We’re planning a trip for December this year. Will you be updating with info about the Christmas Parade after the middle of Nov? Or does it have the same basic info as Soundsational? I’ll have an updated holiday focused post soon. The Christmas parade IS happening (yay! ), but Soundsational is going on hiatus until after the holidays. So, the two parades will be Christmas and Paint the Night will continue, too. Stay tuned for the holiday post and let me know if any other questions come up. Gabriel, I’m so sorry I missed this. Email me directly at casey@dlrprepschool.com if I can help you. I’ll be looking for your reply. Thank you for this post! Very helpful! Is it possible to see Paint the Night parade, the Forever fireworks show AND Fantasmic in one night? It depends on when you visit. If you’re at a busy time, you can see Fantasmic! and fireworks from the same location (starting at 9pm) and then watch the 11pm Paint the Night parade. But, it only shows twice during very busy times of the year. Enjoy! Does the fantasmic show run in October. We are coming for one day Oct. 15. It does, but typically on weekends. Check the schedule as we get closer to your dates for more info. I’m a first timer to Disneyland I just have a question. We are headed to Disneyland for my daughters birthday. We will be there during October and I have seen and read up all about Halloween time. My question is: the day we are going (October 26th) is a day that the Halloween parties are not on. Will there still be a parade? And fireworks? Yes, there should be the Paint the Night Parade and fireworks, too. You’ll enjoy both very much! I’m planning to do Fantasmic, fireworks and paint the night in one day. Is it a good idea to just turn around after the 1st Fantasmic show towards the castle and get a good view of the projections as well as the fireworks. I plan on watching the Paint the night parade at 11pm. please suggest a good spot for the parade too so that we can leave soon after the parade. I love this plan. You won’t be able to see the castle, but it’s a great way to see so much in one night. I suggest leaving directly after fireworks and grabbing a spot on Main Street for the 11pm parade. Try near the Coca Cola Corner so you can see Main, the castle and the Matterhorn if possible. That’s the best option in my opinion. We’ll be here in 9 days!!! I’m so excited! It looks like on your map for spot 3 that you’re actually set up in front of the Storybook Land Canal Boats rather than in front of It’s a Small World. Is that accurate? Also, it looks like there’s a sidewalk on the left that leads back towards the restrooms, theatre, etc. Are you blocking that sidewalk or to the right or left of it? We’re coming from Central Time so I don’t know if our two younger daughters will still be awake for the parade so I may have to send them to the hotel with my hubby because there is no way I’m missing this parade! You could set up by the Storybook Land Canal Boats or small world…….that map just provides a general idea. The sidewalk behind will prevent you from seeing the parade. Arrive early and secure your spot! Hi Casey, For spot #3, is it across the “street” from the “it’s a small world Promenade Viewing Area”? If I’m facing the Storybook Land Canal Boats from the “street”, where should I camp out? (I’m also confused bc of the pathway leading back to it’s a small world and the Troubador Tavern.) Thank you! Hi, Patty. If you scroll down to the section where I show how I set up for the Soundsational Parade, you can see exactly where I sit. It’s typically about half way down the path to it’s a small world from Storybook Land Canal Boats. Choose the side with less sun in your face for mid-day parades. Let me know if that doesn’t clear things up. Our family is pretty experienced with Disneyland, but we haven’t been in a year in a half! (gasp!) But we are headed down for August 31-Sept 2 and I am worried that Fantasmic! won’t be showing because we in the parks Mon-Wed (and they usually downscale Fantasmic! for Fri-Sun during the off season). Do you know if this is the situation? Also, I think the Paint the Night Parade will only be done once a day then. Hard to tell, Christine. As we move into the fall months, things do change, as you know. I would be checking the calendar as often as possible and I’ll post on my facebook page if I hear anything. Which color is the best to see Fantasmic from? I don’t plan on doing any dining option, and I am getting conflicting reviews of the best color seating area! And same for world of color. I heard the blue section is given out first but is not as good as the yellow section, which is given out second. I don’t know which color to try to get! And if I plan on watching the 8:50 Paint the Night and the fireworks from the in front of the castle. What time do you recommend I sit down to reserve a spot? I prefer yellow seating for Fantasmic! and Blue for WOC. Stand on the bridge for WOC. I don’t recommend the 8:50pm paint the night because you’ll have to start sitting on Main Street around 5pm – if not earlier – for it. See Fantasmic! and then stay there for the fireworks. Otherwise, just set up early and rotate on the blanket if you really want to watch the fireworks from Main Street. Enjoy! First let me start by saying I love all the info you provide, very helpful and informative. 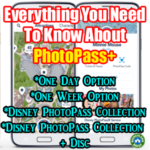 My family recently purchased the Premium Annual Pass, we’ve tried other passes and they didn’t fit our needs considering our school and work schedules, and wanting more time at the parks. I have a family of five. My husband, myself and our three children, a boy who will soon be 8, 5 year old girl, and 20months old baby boy. We will be making a trip to the park in late August, for our eldest son 8th birthday and he would like to see a show and have dinner. We’ve never experienced Fantasmic or World of Color and I’m having the hardest time deciding which one of the shows to choose btwn? We would either like to eat at Blue Bayou for Fantasmic or Carthay Circle for WOC. Do you have any suggestions for me on which restaurant may be best for my family? Thank you. Thank you! Blue Bayou for Fantasmic! is my favorite. You get a cushion to sit on during the show. Recommend! I believe this means you will be dining (or picking up your food) at 6:45pm, but your return tickets will allow you to view the second show of the evening. If you want to view the earlier show (which I recommend), grab the FASTPASS on Big Thunder Trail in the morning, see the 9:00pm Fantasmic! (with the same viewing privileges you have with your Oasis reservation), stay put for the 9:30pm fireworks, grab a snack and then see the 11:00pm parade. All of this will be done in the evening. See the 4:30pm Mickey’s Soundsational Parade, too. Let me know if you have any questions. Fantasmic! I’m not sure what to do. Where do we watch with our 6 girls under age 7? They will want to see Tinkerbell fly before the fireworks and I know someone said behind Dumbo is a good view of her. But, I’m going to need a plan of action that is fast. We might try parade also at 11 and then 2nd night focus on earlier parade again. What do you think about the Elsa and Anna boutique after nap time with princess dresses on and ready for the 9:00 parade? I’m just not sure we can make the Mickeys Soundsational work if we need to line up early because of naps unless I send the grandparents ahead of us. Is it worth it to nap earlier to make this parade? Thanks!!!! So scared of my toddlers!!!!!! Christi. Deep breaths! You’re going to be great. The viewing area by Dumbo is great for Tinkerbell, but you can’t see the castle projections. I’d stick to your option on Main Street for Tinkerbell viewing and get as close to the castle as possible to see her and the castle and the Matterhorn if possible. I love princess dresses and the makeover prior to the parade. You get a lot of attention from the princesses and they’ll wave if your girls are enthusiastic about showing off their princess gear. The 11pm parade is fantastic and so much less crowded! I love Mickey’s Soundsational, but hate to see people spend more than half their day waiting on parades. Trade off with the blanket rotation option I talk about or plan to see the later parade. You’re doing it all the right way. Promise! Keep your reservation, enjoy the dinner, roam the parks and then return 30 minutes prior to when the ticket tells you to in order to get a good space in line for the show. Then, after the show, stay put to see fireworks. Another parade starts at 11pm. If your group can stay up that late, I highly recommend seeing this parade at this time because you’ll encounter about 1/4 of the people from the earlier one and have much better seating and less stress. Well done, Michelle! Thanks for the information! If we watch fireworks from the Fantasia area, will we miss the projections? Projections are on a water screen from the Fantasmic! area…..similar to World of Color. You won’t miss them at all! We followed your suggestions and got a good spot for the parade and fireworks by It’s A Small World. brought a lightweight blanket and it worked out really well. Our view of the parade and fireworks was fabulous! So glad to hear it, Stephanie! Just found your blog, love this post! We have yet to see Paint the Night and Disneyland Forever with our 2 and 4 year olds. Any suggestions on being comfy for the parent who’s on blanket rotation? Do you bring a pillow or something to sit on? Lie down? Beach chair? (Are those allowed?) Or is it just not as big of a deal as I’m thinking? We’re regular park goers, but have yet to try the early waiting thing. Thanks a ton! I wouldn’t bring a chair. But, you could bring other things to make you comfy. Just know you’ll have to store such and not be able to leave anything unattended. I actually love my time “on the blanket” because of the break from kids! 🙂 Just take turns and it should work. Good luck! Yes. See Fantasmic! at 9:00pm, stay for Disneyland Forever in the same spot for the 9:30pm show and then see the 11pm Paint the Night. I recommend the dining package for Fantasmic! (Blue Bayou or River Belle Terrace) if it’s in your budget because you’ll have awesome seats for both Fantasmic! and Disneyland Forever. Then, you’ll watch the parade with 1/4 of the people that typically show for the 8:50pm parade. It’s so much easier to see the parade late at night if you can make it to 11pm. Great Info! If I make a reservation for 7:50 for River Belle, can we just stay there for Fantasmic? Is the reservation too late? We are late nighters, so your suggestion of all three events…especially the 11pm is wonderful! Thank you! Depending on where you sit, they may let you stay. 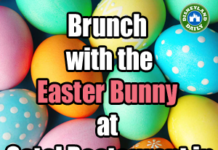 Ask upon arriving if they have a table that will accommodate your request. Otherwise, the seating is excellent! love all your info!!!!! I am soooo nervous about our trip, we are pros when it comes to WDW but have never been to land and are beyond excited but I feel like I know nothing!! We will be there October 4-9, with hours being shorter and Halloween parties will they still have 2 parade shows? Would it be easier for us to catch the parade on the night we attend the party? Don’t know yet. Good questions. Stay tuned for my Halloween post! Is it possible to see Fantasmic, Paint the Night, and Disneyland Forever in one night? #2 location for PTN was a complete disaster Monday. I won’t go into the gory details, but if it was a secret, it isn’t any more, and Disneyland CMs need to adjust to that new reality. Gregory, what happened? Email me if you have a moment so I can adjust my post if necessary. Thanks! Yes, please share what happened. We will be going in the next few weeks and would love to know what you know. Would I be able to to see any part of the paint the night parade from either jolly holiday or Plaza Inn? We are less concerned with the perfect view and more concerned with being able to sit and a quick exit (without having to campout for hours). Jolly Holiday would be a better option, but people are taking those tables super early for exactly this reason. In front of the firehouse in Town Center, near City Hall, is a good place for a last minute stop without having to wait. You won’t be up close by any means, but you’ll be able to see the parade and then can leave quickly. I’m a little confused/overwhelmed. Is there a place to watch the Paint the Night Parade and then stay in the same spot for great viewing of fireworks, or is it important to change location in between the parade and fireworks? Sorry…I’m pretty naive about this! You can essentially stay in the same spot, but my suggestions move you to more affective viewing. In some suggestions, I only move you a few yards, around trees or such – typically into where the parade went through. So, am I understanding this right? For the Paint the Night Parade there isn’t a great viewing spot to see this parade and then stay in the same spot for fireworks? We only have two days so I don’t want to mess it up! Thanks so much for this really detailed post. Thank you so much for your detailed suggestions. They worked out perfectly for my family of 5. We chose the spot you took a picture of across from Small World for PTN. We got there about 1.5 hours early and nobody was there. We laid out blankets and walked to the vendors in front of us setting up with snacks and light up toys. We purchased our goods and the kids were happy as a clams. After the parade we rode Small World because the line was 5 min and when we emerged we stood up on the terrace at the exit to watch the show on Small World and had a perfect view of fireworks too. It was spectacular. Thank you for this amazing hint because you made our night easy and the kids had a blast. Makes me so happy to know! Thrilled you enjoyed it.